In recent years some initiatives have taken by the Indian government to improve the delivery of public services to citizens. There are many high impact governance projects that have been identified as Mission Mode Project(MMPs). Passport Seva is also one of the high impact governance projects. The vision of government is to provide all passport related services to citizens easily. The project has been implemented in a private-public partnership mode with Tata consultancy. Passport Seva makes possible simple, efficient and clear processes of delivery for all passport related services. Under this program, total fiduciary functions like verification for passport, granting and issuing and all other functions have been held on by MEA. 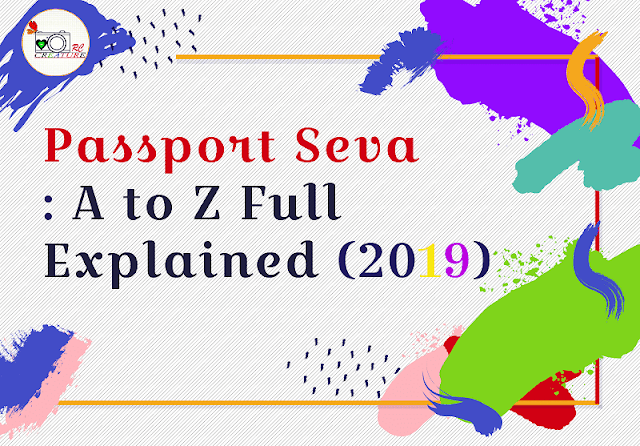 How to Register in Passport Seva? Here we are talking about passport seva and services provided by passport for our citizens. 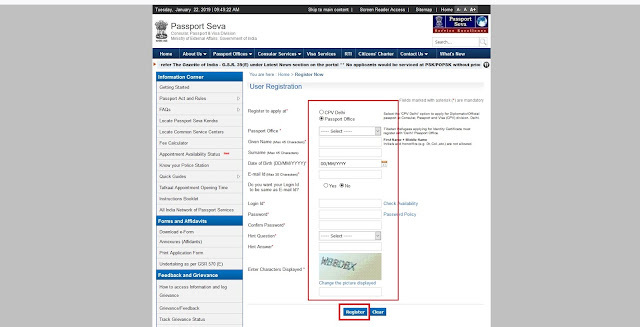 You can register yourself on the Passport Seva portal. 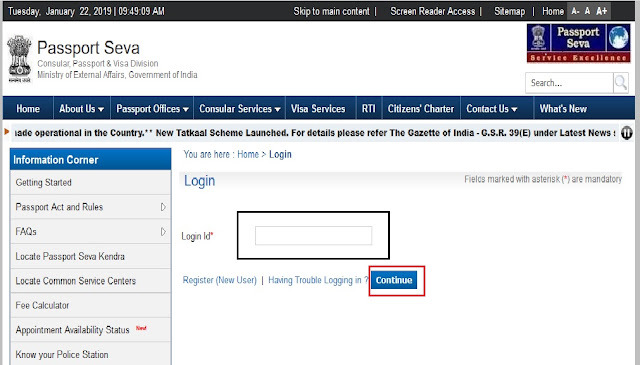 Here are some steps so that you can easily register yourself on this portal. Choose "Register now" an option in the homepage of this passport. Fill all your details mentioned in the section and click on the "Submit" option. How to login on Passport Seva ? Now come on the question of how to log in on passport seva? 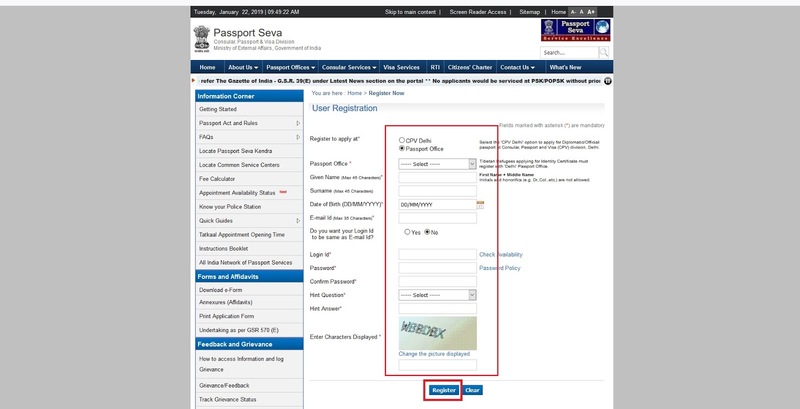 Here we are sharing some steps so that everyone easily login on passport seva. 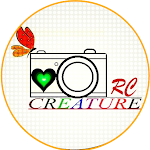 First, register yourself on this portal. After the completion of the registration process, they give you login id. Choose a login option on the homepage of this portal and enter your login id and click on the continue button. How to Track Passport Status? After completing your application process for a passport now its time to tack your passport status. Here are some steps towards this. First, choose track application status on the homepage of the Passport Seva portal. Click on the "track status button". What is the mPassport Seva app? The ministry of external affairs has launched an app for smartphone users to provide them all passport related services through this single mPassport App. The app provides much information involved to get passport related services and call in case of queries about any topic. 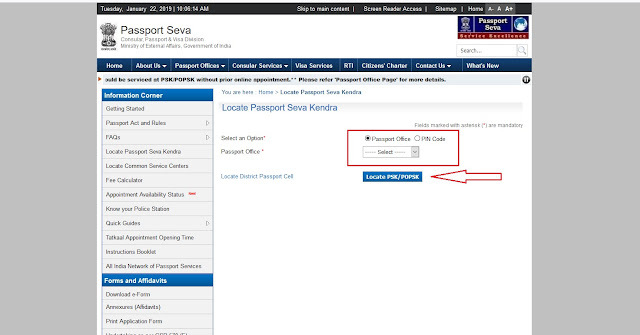 You can search here for Passport Seva Kendra(PSK) and District Passport Cell(DPC). You can also search for a police station for several states and districts. There is also a few calculator in this app. You can find out the required fee for service and the mode of submission with the help of this fee calculator. There is also a document advisor who help users to find out the document when they are going for a visit to the passport office for their application submission. Users can also track their passport status in this app. For this they have to enter their application number and date of birth in the track application section of the homepage. How to Apply for a new Passport on your Phone ? If you want to apply for a new passport on your phone. So the first thing is to do with your mPassport app is first you have to close your app. After closing, you have to open it again. After that click on the "existing user option" and enter your login id, password and the captcha code is given below. Now many options appear on your phone's screen choose the fresh passport option along with other options. Now you can easily apply for a new passport on your phone. What is Passport Seva Kendra ? Passport Seva Kendras are also known as broad arms of passport offices and they also refer front end services related yo passport issuance. 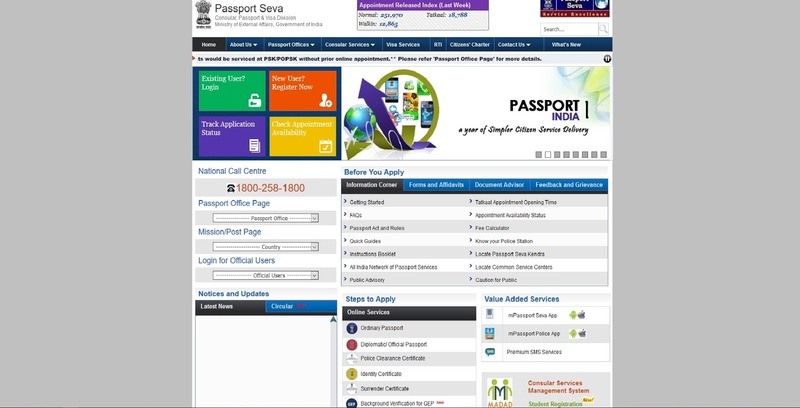 Like passport seva online portal they also provide many passports related service like application for a passport, you can issue and re-issue your passport. 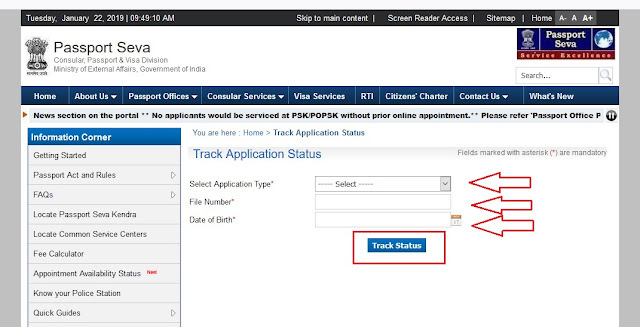 How to submit an Application for Passport at Passport Seva Kendra? Prior to this, we gave you information that how to submit an application at the Passport Seva portal. So now comes on the question that how to submit an application for a passport at Passport Seva Kendra? Here are some steps so that you can easily submit your application at Passport Seva Kendra. First visit the nearest Passport, Seva Kendra. Go to a security check of Kendra. Go to the pre-processing area of the Kendra and collect a token from the token counter. There is a number on your token at the top of your token. This token number is used for further processing in some areas of Passport Seva Kendra. After that go to the waiting area of that Kendra and wait here till your token number does not appear on the time display screen. There is an LCD display screen on the waiting area where your token number and the counter number has been displayed. The counter number has been displayed to the next of your token number. So when your token number appears on the screen then you can for processing at the given counter of Passport Seva Kendra. The first counter is counter ‘A’ where a citizen service executive(CSE) will scan and upload your all documents in Passport Seva System. The CSE will click your photograph, take your fingerprints for a passport. After that After your personal particulars in the system will be printed and given to you for verification and for your signature, that After be scanned and uploaded on the system. After that again to the waiting area and wait till your token number displayed on the time display screen with the counter number ‘B’. At the counter ‘B' there is a Verification Officer(VO) who checks your all original documents for completeness and correctness of your passport. Go to the waiting area again and wait till your token number display on the token display screen with a counter number. The next counter us counter ‘C'/ granting zone where Granting Officer(GO) will take a decision on granting of the passport. After the completion of the whole process go to the exit gate and take a printout of the final status of your passport, keep this letter to track your application status. As we all know we were discussing Passport, Passport Seva and Passport Seva Kendra. Now it is easy to apply for a passport because you have many options available to you. The best thing about this project is that it saves your time if you are applying online for a passport. 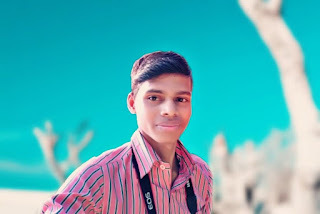 It is also good for people who do not apply online because now there are a lot of Passport Seva Kendras, are available, to help them in completing their application process easier. So it is time to thank our government and Ministry of External Affairs for launching this project for us. Hope this article helped you a lot. Do let me know if you have any doubts or questions in comment box below !! Thank You ! !